Before we jump into today’s busy bag, I wanted to pass on a great idea that was shared in the comments on our Block Puzzles Busy Bag post yesterday. Reesa shared that she is making a collection of busy bags for her niece for Christmas. Isn’t that a great idea?! Not only are busy bags easy and inexpensive to make they can also be used over and over (and over). I also like that they will be a little gift to the recipient’s parents as well. 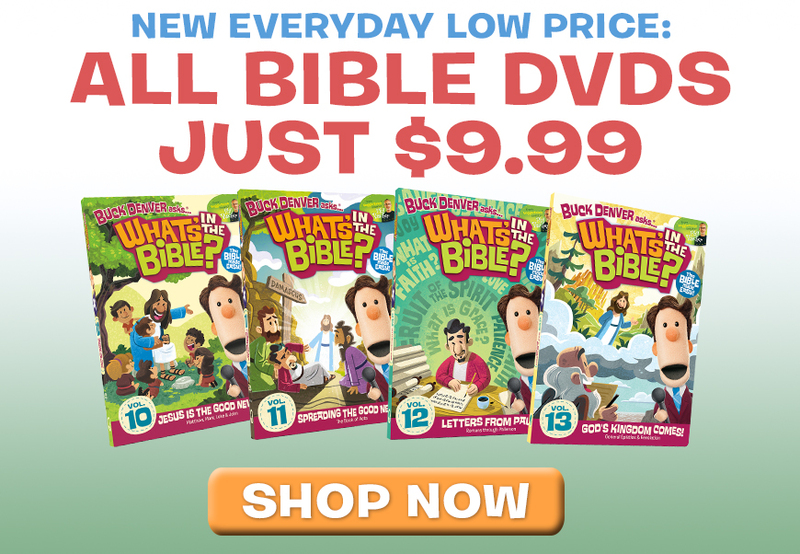 Remember, you can get our Busy Bag Bundle as one easy download for only $3. What do you think about giving or getting busy bags for Christmas? 1. Find an image. Do a Google image search for what you want (search for “your image” outline like “Mickey Mouse outline”). Scale the image to the largest size that will fit on your paint chips, construction paper, or cardstock. Then print it on cardstock. Of course you can skip this step and just draw an image on cardstock. 2. Cut out along the outer edge of your template image. 2. Use your cardstock image to trace outlines on the colored paper. 3. Cut out the color pieces and glue them to cardstock. Laminate for more durability. I’m actually thinking of making more now with some of my kids’ favorite characters. I just love these Micky Mouse paint chips! Aren’t they cute? 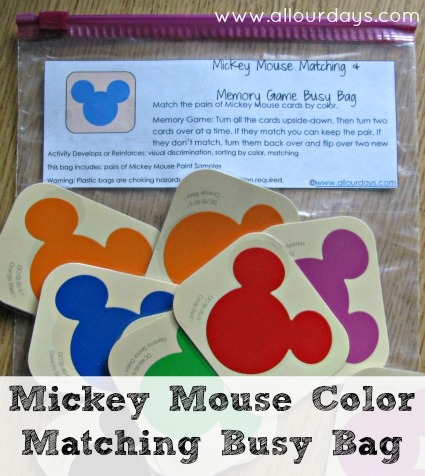 Today’s busy bag activity is a simple color matching or memory game using (free) Disney Color (by Behr) paint chips. These are available at Home Depot, but you could also use regular paint chips for the same activities. Toddlers and preschoolers can simply match the cards by color. 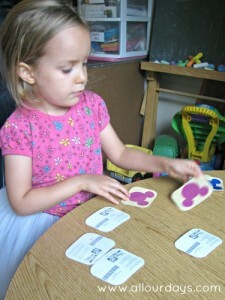 Older kids can turn the cards face down to set up their own single player memory game. Have them turn two cards face up. If they match, they keep them. If they don’t match, they turn them face down again and choose two new cards. 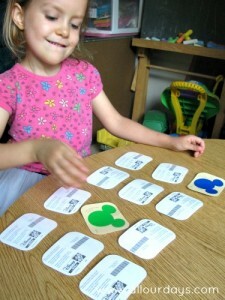 The game continues until your child has found the match for each card. Do you have any other ideas of ways you can use paint chips to help teach your children? We’d love to hear your suggestions! Home Depot no longer carries the paint chips because Baer no longer has the contract with Disney to carry their colors so they have pulled the paint chips off the wall. 🙁 I have tried to contact Disney to find out if another company carries their product but no answer so far. I’m considering making some busy bags for my SIL. Maybe not for Christmas specifically. She keeps three kids in addition to her own daughter. Going shopping with 2-4 kids is crazy and having some activities that could live in the truck and be used in the shopping cart would be great. I couldn’t find the paint chips either. After looking online, I think they have been discontinued. Someone said there was licensing issues. I’ll have to see if my local Home Depot still has them. I’ve updated the post with how you can still make a cute matching activity bag without the Mickey Mouse paint chips. And my Dollar Tree didn’t have the blocks either! You can tell how much I’m enjoying your series and all the hard work you’re putting into it by how I’m looking for the materials the same day each new post comes out! Thanks so much for doing this. I think it’s going to be great for my little ones. The Block Puzzles Busy Bag does have squares you can print and cut out to use instead of the blocks. Someone commented also that their 3/4″ square paper punch worked for making squares for the block puzzles. Booo. My Home Depot doesn’t have these Mickey Mouse ones! I made a color matching set with regular paint chips, but they’re just not as cute! I’ve updated the post with how you can still make a cute matching activity bag without the Mickey Mouse paint chips. Hello I am visiting via the Nester’s 31 days series. Your series is so inspirational and provides great ideas. Oh my goodness. So easy and free. Love it. I will be making a run into Home deopt next time I’m close. Thanks so much! I just started my own blog about kids activities (literally just yesterday). I was wondering if I could share this on there. If so, do I link from this page or the home page of your blog. Not sure how all this works yet. If you would rather me not, I totally understand.